Miguel attended Southeastern Louisiana University and graduated with a B.S. in Exercise Science. He then went on to complete his Doctoral of Physical Therapy at the University of St. Augustine for Health Studies in St. Augustine, FL. Dr. Larrea has previous experience as a strength and conditioning coach, and spend 12 years in the Army Reserves as an Air Assault Combat Medic. 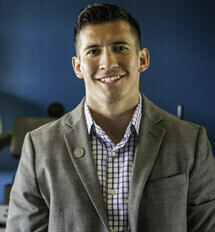 With additional experiences in neuro/inpatient settings, Dr. Larrea specializes in sports, orthopedics, and manual rehab. His goal is to get you to move better to feel better and get you strong to stay strong.